I just wanted to thank you for your wonderful products. My little dog has a heart condition. We live at the shore, which always has fireworks going off all summer long. Plus we have a lot of thunder storms. Starting on July 3, Sweetie Pie went into full panic mode. Her eyes bugged out and she just started panting and wouldn't stop. She'd pace the house looking for a safe place. We tried everything from car rides to Benadryl. Nothing really worked. 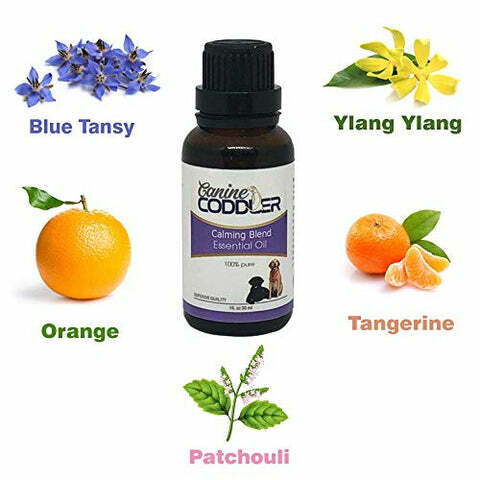 I heard about your Canine Coddler blanket and figured we had nothing to lose. WOW! Two minutes after wrapping her in it, she settled down and went to sleep. She now sleeps through thunder storms and fireworks, snoring away. We call it our miracle blanket. And she loves it. It's her favorite and at night she makes a little cave for herself, crawls in, and stays with us here in the computer room, contented as can be. You guys are awesome. I can't say enough about the blanket. Thank you, thank you, thank you!!!! I can't believe how good the quality is. Its not like a normal blanket. It's heavy but not over heavy. It's a perfect weight for my dog to enjoy to have it over him. 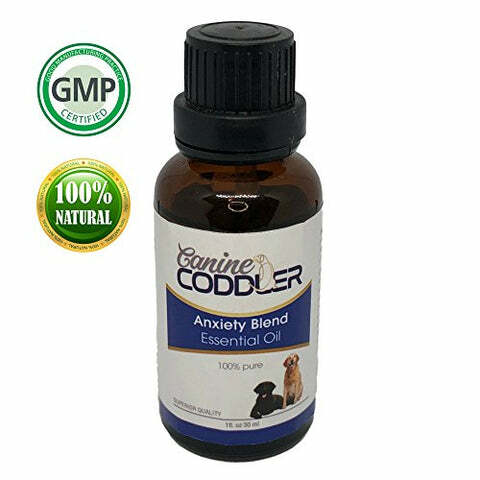 I would recommend if you have a dog that likes to be cuddled and gets scared very easily. The cover can be removed easily if you need to clean it. I'm so glad that I got it. 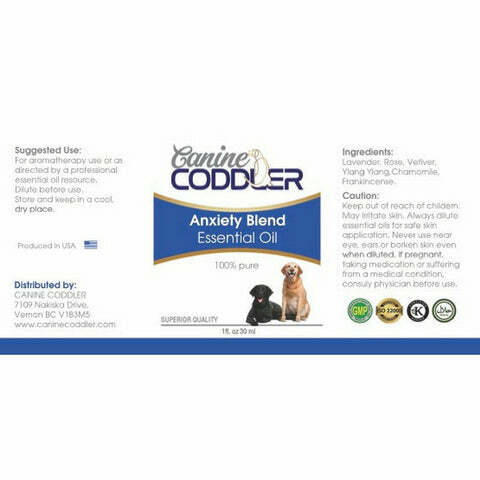 There is no magic cure for dog anxiety relief however, our Canine Coddler Blankets have shown a very promising success rate. Try it for yourself and!! A portion of all sales go to support underprivileged families pay for their vet bills. 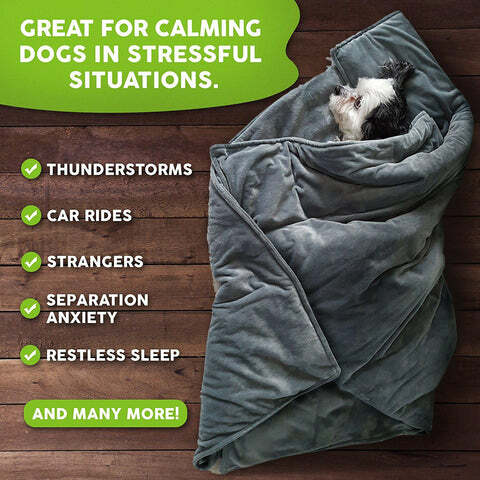 To start, we purchased the Small / Medium sized blanket to test out on our dogs. Both of our dogs are about 40lbs and they LOVE this blanket. My terrier mix struggles with separation anxiety and feels the strong need to always be very close to his masters. This results in him following us throughout the house, insisting to be in bed with us and a constant craving for human contact. 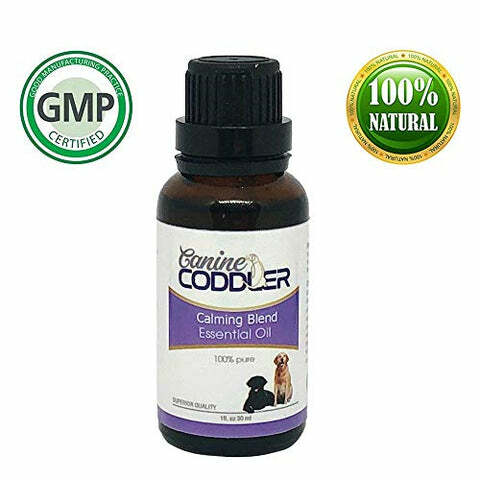 We've tried nearly everything (doubling his exercise, rescue remedy, dog trainers and even CBD infused treats!) and typically we see little incremental progress for our efforts. Buying this blanket was a serious WIN for my wife and I's sleeping routine. We've went from being woken up every few hours as my terrier attempts to sneak onto our bed to my terrier being happy to sleep in HIS bed at night. 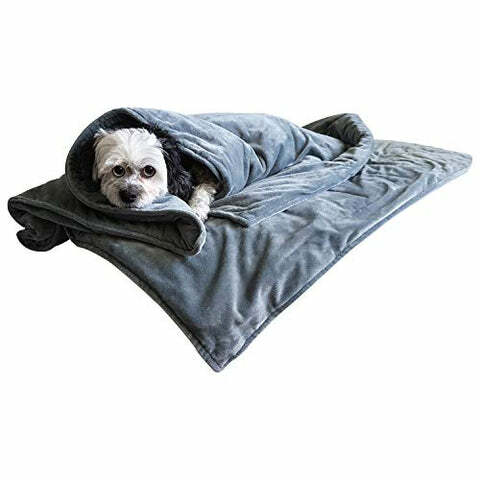 I can't express the value of a good nights sleep and this blanket has all of us sleeping through the night again.